The Amun Crypto ETP will start trading on Zurich-based SIX Swiss Exchange, Switzerland’s top stock market. The ETP will be an index product that tracks five of the most popular cryptocurrencies with weighted allocations - Bitcoin (49.7%), XRP (25.4%), Ethereum (16.7%), Bitcoin Cash (5.2%), and Litecoin (3%). It’s interesting to note the allocations between XRP and Ethereum. Historically, Ethereum has been viewed as the number two cryptocurrency behind Bitcoin, but recently XRP has take the number two position in terms of global market cap, Amun has taken a bullish view on XRP, which makes up more than a quarter of the ERP, compared to one-sixth for Ethereum. This ETP on a major stock exchange is a significant move that sets a bullish undertone for the legitimization of cryptocurrencies as we approach 2019. Traditionally, a large number of institutional investors are only permitted to have exposure to licensed securities. With the launch of a fully licensed ETP, these large-scale investment firms will now be able to hold positions in cryptocurrency market through an index fund product on a stock exchange. Amun’s Crypto ETP will trade under the ticker symbol HODL. BTC, XRP, ETH, BCH, and LTC markets are all of course available on Liquid. The Bitcoin Cash blockchain officially split into Bitcoin ABC (BCHABC) and Bitcoin Satoshi's Vision (BCHSV) at 18:02 UTC on November 15. Approximately 27 minutes later, Mempool successfully mined the first block on the BCHSV blockchain. Prior to the hard fork, Craig Wright, CoinGeek, Calvin Ayre and other Bitcoin SV supporters allegedly controlled more than 56% of the hashpower on the Bitcoin Cash network. This led many to believe that BCHSV would emerge from the hard fork as the “real Bitcoin Cash” in terms of hashpower. Later, it was revealed that Jihan Wu’s Bitmain was ready to deploy more than 90,000 miners to defend BCHABC if necessary. As it turned out, Bitmain’s resources were not needed as Roger Ver was able to redirect Bitcoin.com’s hashpower to mine the BCHABC chain. In the end, BCHABC seemingly emerged as the dominant chain in this hard fork (BCHABC is currently 10 blocks ahead of BCHSV), but this battle is by no means over. In case you missed our announcement, Liquid is supporting both BCHABC and BCHSV. After charging the founder of EtherDelta with running an unregistered securities exchange, the United States Securities and Exchange Commission (SEC) has found its next two targets in Paragon and Airfox (Carrier EQ). Paragon is a project focused on creating blockchain solutions for the cannabis industry, while Airfox is working to “bank the unbanked” with its “revolutionary peer-to-peer microloans program". In a press release issued on November 16, the SEC revealed that Paragon and Airfox have been charged for conducting illegal ICOs, and that both companies have agreed to pay a USD250,000 fine, refund “harmed investors”, register the respective tokens as securities, and file periodic financial reports with the SEC. There are a few ways to look at this development. 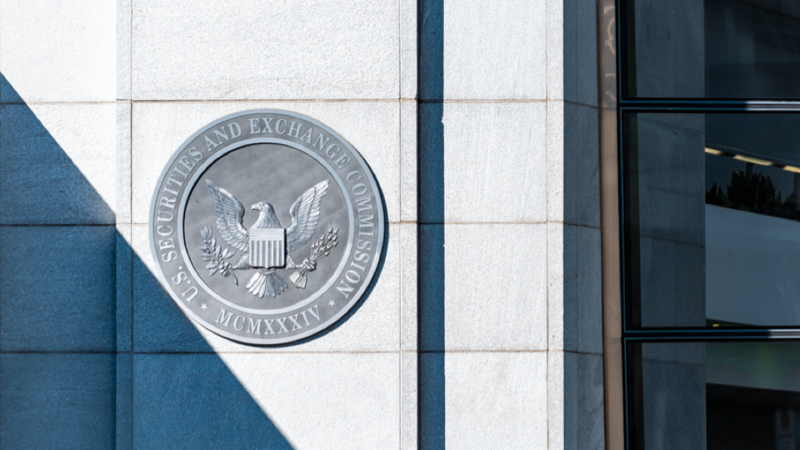 Unlike the SEC's charges against Titanium back in May 2018, the SEC did not charge Paragon and Airfox for securities fraud. In fact, the press release doesn’t even mention fraud in the context of these two ICO offerings. By providing investors who purchased securities in these ICOs with the opportunity to be reimbursed and having the issuers register their tokens with the SEC, these orders provide a model for companies that have issued tokens in ICOs and seek to comply with the federal securities laws. While this is yet another example of the SEC being intentionally vague when it comes to the subject of cryptocurrencies and ICOs, it does seem like a calculated move. By using Paragon and Airfox as warnings, the SEC is able to potentially influence the behavior of both ICOs (current and future) and potential investors without having to dedicate considerable resources on targeting each individual US-based ICOs. The fact that both Paragon and Airfox have gone ahead and registered as securities shows it’s possible, but it’s unclear how the refunds will be valued and processed. Will customers receive their invested value in BTC, ETH or fiat? Depending on a project’s treasury management protocol (capital diversification), a fiat-valued refund could potentially cause bankruptcy due to Bitcoin and Ether’s drastic drop in value over the past year. Considering most ICOs have 100% transparent treasuries thanks to the ERC-20 protocol, an ICO refund policy in the midst of a crypto bear market is an interesting move.